Intermountain Rural Electric Association (IREA) is one of the largest and fastest-growing electric distribution cooperatives in the United States. With Striata Paperless Adoption Services, IREA has successfully turned off 19% of their total paper bills in only 20 months. In this edition of Striata eBilling Insight, we highlight the value of Striata’s Paperless Adoption Services. 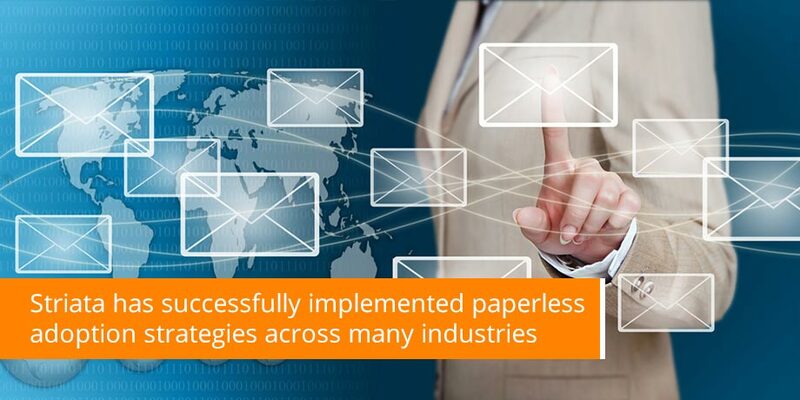 With 11 years of eBilling experience, Striata has successfully implemented paperless adoption strategies across many industries, enabling its clients to achieve their paper turn-off goals. Striata clients currently achieve 12% to 15% paper suppression per annum, and experience a 30% reduction in Days Sales Outstanding (DSO). Working in partnership with its clients, Striata assigns a dedicated Paperless Adoption Specialist for the life of the eBilling project. The specialist works closely with the client to ensure that the recommended adoption strategies are implemented. Our adoption services team is key to our clients’ success, every project begins with a full Paperless Adoption Plan, customized according to the client’s unique circumstances. Following the Striata Adoption Plan ensures that the project objective and success metrics are met. The only change for the customer is in how their bills are delivered to them. Convenience and ease of use are what maximizes paperless adoption, but understanding human nature and the way that people adopt new technology and new processes is crucial to the success of any ebilling project. Striata’s registration-free email billing model, coupled with proven paperless adoption strategies ensures that customers turn off paper and realize the resultant cost savings. Click here to learn more about turning paper off.